Established in 1985 we are a Joinery & Fit-out contractor working in various sectors. 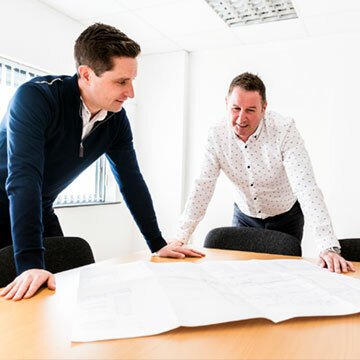 We have a dedicated and experienced team of project managers, skilled workshop and on-site joiners. Our company is committed to the health and safety of our employees, sub-contractors and others affected by our work. We have Safe T Cert accreditation and are members of the National Association of Shopfitters. From our 25,000 sqft facility in Belfast we operate throughout UK & Ireland offering a complete turnkey fit-out service through to specialist joinery. ALD take Health & Safety very seriously and hold Safe-T-Cert accreditation. This is recognised under the ‘Buildsafe’ initiative in Northern Ireland and the ‘Construction Safety Partnership’ in the Republic of Ireland. Safe-T-Cert is also a member of Safety Schemes in Procurement (SSIP). 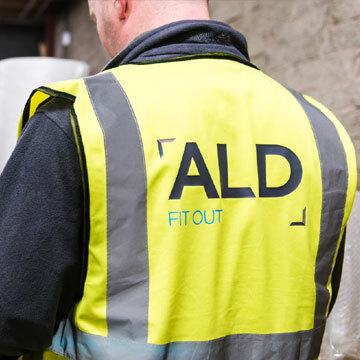 ALD Fit Out are members of Constructionline and the National Association of Shopfitters (NAS). Our on-site workshop, based in our 25,000 square feet building, is equipped with modern machinery, a spray shop, joinery benches and an experienced team of workshop joiners.